Vitamin E is known for its antioxidant properties and is a fat soluble vitamin that keeps our immune system strong and protects the body from the attacks of bacteria and viruses. A lack of Vitamin E can cause a lot of health issues. 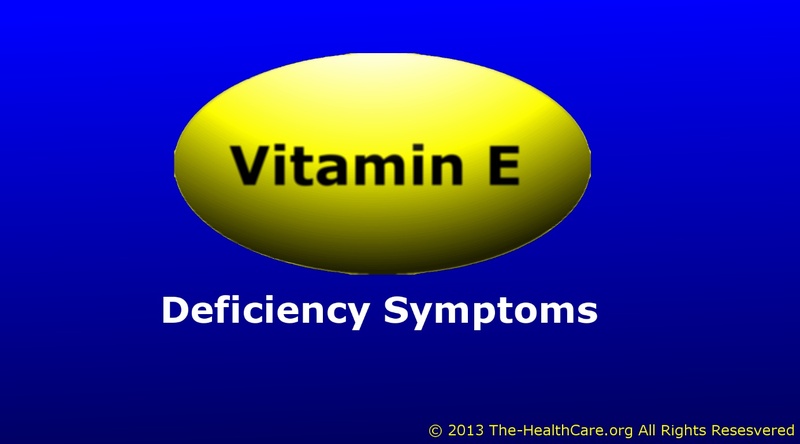 Let’s look at the signs and symptoms of Vitamin E deficiency. Vitamin E plays a key role in ensuring the proper functioning of the immune system. Deficiency of Vitamin E could weaken the immune system, triggering sickness and disease. People with a Vitamin E deficiency experience illness more often and have a longer duration of illness. Myopathy is a condition caused due to Vitamin E deficiency as the muscular fibres don’t function properly and become weak. Vitamin E ensures that the plasma membrane remains intact and muscle repairs is enhanced. Deficiency of Vitamin E allows free radicals to attack the innards of our muscle cells. Vitamin E deficiency causes dry skin as it is responsible for keeping the skin nourished and hydrated. Vitamin E is an important ingredient in most of the moisturisers, lotions and other oils that form a part of our skin care routine. Vitamin E is responsible for blood circulation in the body, which is responsible for providing the scalp with nutrition. A lack of Vitamin E deficiency may lead to hair loss and hair fall as the hair doesn’t get enough nutrients to keep it healthy. Vitamin E may affect the nervous system and could be responsible for decline in motor skills, nerve degeneration, impaired reflexes, poor coordination and loss of balance. The brain is highly sensitive to the effects of free radicals and oxidative stress. Lack of Vitamin E can impair basic cognitive function as it is responsible for preventing or delaying cognitive decline. Lack of Vitamin E can cause problems of the heart in many people. Children may suffer from atherosclerosis due to lack of Vitamin E.
Having foods rich in Vitamin E is important for a healthy and disease free body. If you suffer from Vitamin E deficiency, consult a physician who will provide you with supplements and help you with a diet that is rich in Vitamin E.